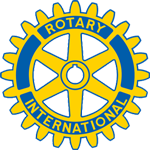 1.Your business joins the Rotary Club of Moore under the business plan. organization in the world, sharing this unique form of community engagement with your staff. - Includes weekly lunch for one person. - More than one employee can attend at the same time for an additional $13 per person to cover lunch. Give your employees the gift of community engagement, connect your business to philanthropic outreach and fellowship with likeminded members of Moore’s business community.